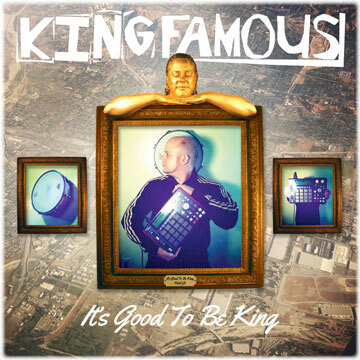 King Famous stands among the bricks and mazes outside Holiday City. 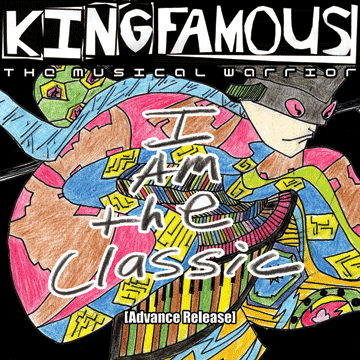 King Famous Versus The Robot Factory is my first album. The entire album was made on the east coast of the United States of America in New Jersey, along the North East Corridor line of New Jersey Transit. I remember going to the Edison New Jersey Sam Ash and meeting a guy named "Baby Grand." I told him I wanted to make beats, then he introduced me to the MPC 2000. This started a lifetime love affair with the MPC - and even though by today's standards some refer to it as limited, it was perfect for what I wanted to do. I didn't need endless libraries of sounds and instruments. With the MPC I was able to sample VHS, cassette, CD, Vinyl - and form my own style of music by playing rhythms organically. Moving up and down the North East Corridor from Jersey to New York defined this album. The trainline was becoming my second home - a place where I would write endlessly. I felt a bond with the MPC, with the lyrics, with the music - and it became who I was early on. Versus The Robot Factory introduces listeners to The Master Programmer and Tnega Terces and takes them on a Mission to Freedom in search of The Chest Of Gold. The lyrics and final mix was finalized at Kitchen Sink Studios in Shelton Connecticut (Sounds Red). 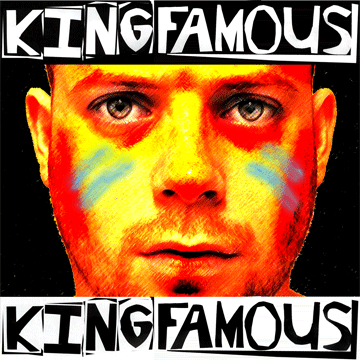 Album art by King Famous.